Andrew Dorogi died March 15. 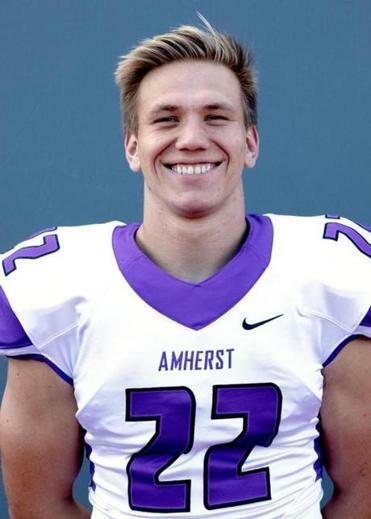 The Mexican government said Monday that an Amherst College student found dead in Mexico City in March was not murdered, contradicting the family’s recent claims. The statement marked the first time Mexican authorities, who have provided little information about the investigation, have declared that Dorogi was not the victim of a homicide. It came two days after the Globe reported that Dorogi’s family, speaking publicly about the investigation for the first time, said that the 21-year-old had been murdered. Dorogi, who grew up in Ohio and was slated to graduate from Amherst later this month, was killed while returning from a vacation with several friends to Cabo San Lucas in Mexico, a family spokeswoman said. The family of Andrew Dorogi said that he was murdered, their first public comments on a case that has been kept largely under wraps. “Instead, he exited the airport and asked for directions to the metro station, according to witnesses’ accounts and video footage,” authorities said. The statement added that the Mexico City attorney general’s office, which is investigating Dorogi’s death, has offered to meet with the family to “provide an explanation of the incident” and show them video footage. The family’s spokeswoman could not be reached Monday evening for comment. Last week, Dorogi’s grandfather told the Globe that he was frustrated by the pace of the investigation. “I don’t think the Mexican government is really doing that much,” said Joseph Dorogi, 86, a retired engineer who lives in Ohio. In early April, Amherst College’s president said she had been told by Dorogi’s family that he had not committed suicide, and that his death remained under investigation. Last month, after repeated inquiries by the Globe, Mexican prosecutors issued a statement about a man whose body had been found on train tracks at a subway station. The man had been electrocuted and suffered burns, according to the statement. Prosecutors declined to say whether the man was Dorogi, but said they had launched a manslaughter investigation. The US State Department has referred questions about the investigation to Mexican officials. In a statement Monday, the State Department said it remains in close contact with the Dorogi family but declined to comment further.